Reduce your setup time with the quick-change system INDEX TRAUB CAPTO. The proven CAPTO mounting is available for tool holders with VDI 25 and VDI 30 shanks. See an overview of all the available tool holders with the INDEX TRAUB CAPTO interface by opening the Mounting drop-down menu and selecting the INDEX TRAUB CAPTO option. 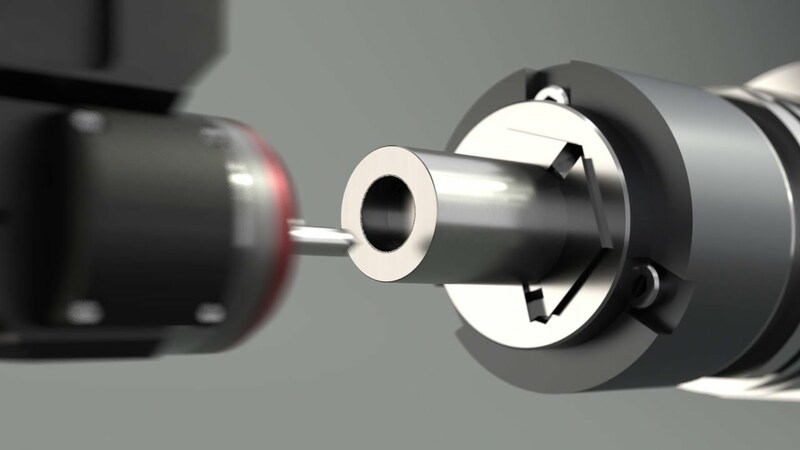 In order to make best use of the possibilities your cutting tools provide even for small hole diameters or light milling operations, thereby reducing machining times, INDEX TRAUB offers fluid spindles. The use of the tool holder ranges from milling operations through drilling and deburring to marking of workpieces – all at maximum efficiency.